Let us brand the Wines of Croatia by saying: “Our wines are not inexpensive, but they are unique and very good.” Remember: you cannot taste Graševina, Plavac Mali, Malvasia Istriana, Babić, Pošip or Teran anywhere else but in Croatia! What are the prospects for Croatian wines on the European and world markets? This is a question that has recently become a subject of great interest among winemakers in Croatia. The answer to the question has in fact grown quite urgent: for the first time in a decade and a half, Croatia produced a surplus of wine that cannot be sold on the domestic market. It now appears that export is simply a question of survival. Judging by the results of this year’s ProWein expo in Düsseldorf, Germany, the outlook appears bright, provided that we do not make any wrong steps in the branding of Croatia as a wine region. We must also rapidly endeavor to facilitate the placement of wine as Croatia’s most desireable, hand-made export product. For the purposes of presentation, the Croatian Chamber of Commerce and the Ministry of Agriculture have created a visually attractive and visitor-accessible exhibit booth so that numerous Croatian winemakers can showcase their latest products to the most professional wine audiences in Europe. In Düsseldorf, Croatia’s delegation of wineries were part of a group of 3,300 exhibitors from 50 countries. 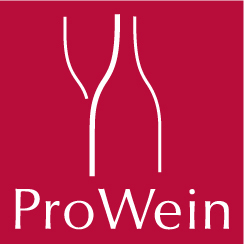 The number of ProWein visitors from around the globe reached 35,000, with most being importers, sommeliers, wine retailers, wine buyers and journalists. Representing Croatia were many of the largest and most important wineries, as well as a small contingency of family producers who, while few in numbers, were big in their presence. The wineries present in Düsseldorf were (in alphabetical order): Adzic, Agrokor, Arman, Badel 1862, Benvenuti, Blato 1902, Cattunar, Dalmacijavino, Degrassi, Diwine, Dubrovnik Podrumi, Enjingi, Feravino, Galic, Izvori života, Jurjević, Katunar, Korta Katarina, Krauthaker, Kutjevo d.d., Gospoja PZ, PZ Vrbnik, Roxanich, Suha Punta, Trapan, Veralda, Matošević, Zdjelarević, and Zlatan Otok. Some of the exhibitors experienced immediate and positive results from their participation: Marijan Arman, for example, reported that this is the first wine fair where he received a purchase order and signed a contract. Usually, the fair is just the first contact. Agrokor scored a significant if not symbolic victory, not so much in terms of quantity but for boosting Croatia’s image as an exceptional wine region. Namely, the buyer for a wine shop in Ulm, Germany, after tasting the wines at the Croatian booth, ordered 20 cases of Goldberg Graševina and 15 cases of Dajla Teran. 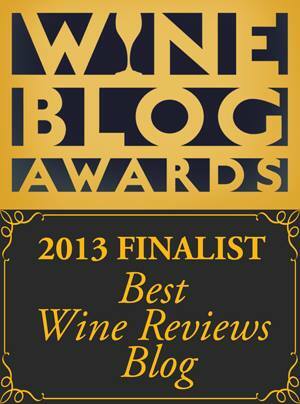 In other words, a solid amount of not inexpensive, premium wine for just one wine shop. Agrokor also entered into an agreement to cooperate with an importer from Dubai. Frank Dietrich, owner of Blue Danube Wine Company in the U.S., also entered into agreements with Krauthaker, Gracin, Dubrovnik Podrumi, and Roxanich. Other deals were made, and each winery took home at least a few dozen contacts. The Croatian wine booth at the ProWein expo also attracted numerous journalists, the most significant of whom was Vaterlaus Thomas, editor of wine magazine Vinum, which is published in Germany, Switzerland and Spain. Also stopping by were Jan van Lissum, the editor of a Dutch magazine, and Daniel Guryča, publisher of a Czech wine journal. A number of curious sommeliers eager for knowledge about new varieties and wine regions also visited the Croatian booth. Therefore, interest in Croatian wines exists! It was an interest expressed not in the sense of “ah, you have finally arrived!” after which all the free wine samples would be meaninglessly snatched up and inconsequently consumed. Rather it was an interest based in the belief that Croatia could be the “next big thing” on the market of fine wine. The emphasis here is on “fine wine”. The future of Croatian wine regions does not lie in the production of cheap wines. Rather, in the crafting of quality wines that are not expensive yet are also not cheap. To demonstrate this point, the wine buyer from the wine shop in Ulm, who purchased wine from Agrokor, did not choose the cheapest wine or most favorable deal; he chose the best wine Agrokor had to offer. When the future of Croatian wines is debated, typically one hears the cries, “Croatian wines are too expensive!” This is partly true as a general statement and is mostly valid for wines from Dalmatia, where production is very small due to the geographical limitations of many vineyard areas (such as Dingač). Croatia is a country that produces comparatively small amounts of wine and cannot compete with Australia or Chile – countries known for high-volume, cheap wines that have only just begun offering more expensive and higher quality wines. Another important point is that Croatia, unlike Chile and Australia, has an array of native varieties that deliver a completely unique and original wine experience. Securing the interest of just a small percentage of wine lovers in the world’s most important markets would satisfy the export requirements of Croatia’s current production. And remember: You cannot taste Graševina, Plavac Mali, Malvasia Istriana, Babić, Pošip or Teran anywhere else but in Croatia! Yes, like Chile and Moldova (and so many other places), Croatia has Cabernet Sauvignon, Merlot and Chardonnay. These wines must be just as good and even cheaper than the competition in order to be of interest to and succeed in a world already flooded with similar wines. In the end it doesn’t take a lot of skill or savvy intellect to sell something at the lowest price. Perhaps we have the intelligence and capacity for something better than that. Presentations like ProWein in Düsseldorf contribute greatly to the development of a marketing message around the concepts of quality and originality. But more must be done. Not just in Düsseldorf but everywhere we go: London, New York, Singapore, Shanghai, etc. However, a sobering dose of reality exists: Croatia is still relatively unknown to wine lovers around the world. 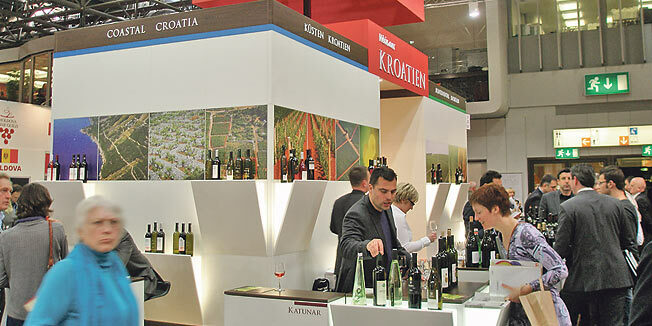 Its anonymity resulted in Croatia’s booth in Düsseldorf being located at the farthest reaches of the very last pavilion, in the company of other relatively unknown wine-producers like Slovenia, Hungary, Romania, Macedonia, etc. Thus, we still have many challenges ahead and lots of work to do! The Wines of Croatia must distinguish themselves with a level of quality that separates them from other wines in the region. Only in this way can we possibly achieve a better position at the next international wine expo and not get into the habit of lowering prices in order to be noticed at the rear of some far-flung the pavilion. Let us be aware of two truths: Good things have worth; and small can be good. These truths apply to Croatian wines indeed. But to ensure our future success, the strategy for continued promotion should be as follows: conduct intelligent marketing presentations; and organize specialized wine tasting events for the media, wine trade and sommeliers. Most importantly, we must back-up our claims to quality by ensuring only the best and most representative Croatian wineries are chosen to exhibit on the world stage.